Children’s graves were frequently enclosed with wooden or wrought iron fencing, or carefully laid stone borders. 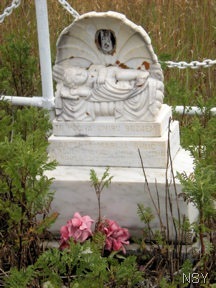 Headstones with carved l ambs denote infant burials. Poetry abounds. Especially memorable is a monument in a Central City cemetery marking the graves for one family’s five children – all who died before reaching their first birthday. 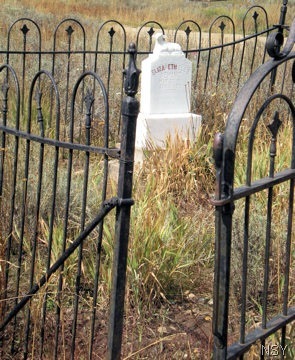 Graveyards near ghost towns and mining camps remain worthy of investigation. 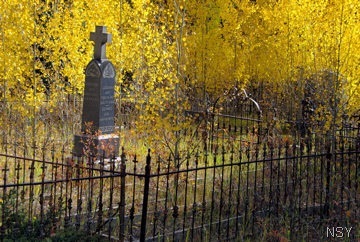 Spend a crisp autumn afternoon strolling the distinctive cemeteries near Alma, Central City, Cripple Creek or Leadville for a Colorado history refresher coarse. The Littleton Cemetery on South Prince Street is the permanent (?) resting place of Alfred Packer, the only man in United States history to be convicted of the crime of cannibalism. 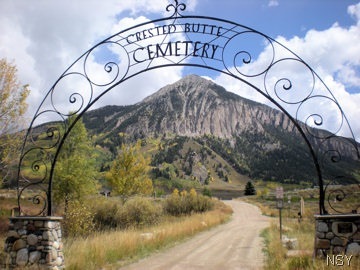 An October tradition in Aspen is “Walking with the Dead” in the Ute Cemetery. Tales from the grave are told by young pioneers. Aspen Walking Tours offers the hour-long cemetery walks every Saturday of October, the last two Fridays and Halloween Sunday (Oct. 2, 9, 16, 22, 23, 29, 30, & 31, 2010) at 5:30pm. Cost is $20/person; call 970-948-4349 for reservations. 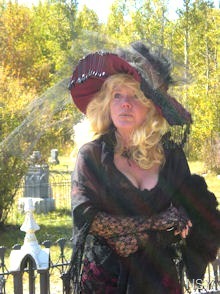 “Meet the Spirits of Boulder’s Columbia Cemetery (also known as Pioneer Cemetery) on October 17, 2010 from noon to 5pm. Victorian mourners, funeral music, vintage hearses, and a solemn Masonic burial service reenactment will enhance the stories told by costumed “spirits” risen from their graves for the afternoon. Ghost Hunters with ParaFPI will demonstrate equipment and techniques used in paranormal research. The elite TAPS Family team is currently investigating the Columbia Cemetery. Tickets will be available at the cemetery gate at Ninth & Pleasant Streets, Boulder, on the day of the tour. Cost is $10/adult, $5/children and studens under 16. Tickets may be purchased in advance at the Historic Boulder office, 1123 Spruce Street. A rain date of October 24, 2010 is schedule for “Meet the Spirits” if weather conditions cause cancellation on the 17th. The tombstones in Cripple Creek’s Mt. Pisgah Cemetery tell numerous stories of the town’s famous and the infamous. On September 18, 2010 the Gold Camp Victorian Society plans a day of Mt. Pisgah tours with character reenactments throughout the cemetery. Tours start at the Cripple Creek District Museum located next to the Cripple Creek & Victor Narrow Gauge Railroad Depot. The tour begins with a ride aboard the historic trolley. The first tour leaves the museum at 9:30am; the last departs at 2:00pm. Donations to benefit the society’s historic preservation efforts are $8/adult, $15/couple and $5/child under 12. I’m sure you’ll meet Pearl. Tom “Dr. Colorado” Noel pays respect to Denver’s pioneer movers and shakers at Riverside Cemetery on Saturday afternoon, October 30, 2010. Meet Nathan A. Baker, whose daughter claimed he, “Loved horses more than his own blood kin.” Baker lies under a life-sized stone Arabian stallion – named Frank. Perhaps the daughter was right. Numerous other Colorado “characters” will make appearances including governors, miners and businesswomen. The 2010 Riverside Halloween Tour is sponsored by History Colorado and Dr. Noel and hosted by the Fairmount Heritage Foundation. Reservations should be made at 303-866-4686; cost is $25 for History Colorado members, $30 for non-members. In Glenwood Springs costumed historic characters recall their lively pasts as lantern led tours visit the “spirits” of Linwood (Glenwood Pioneer) Cemetery. Doc Holliday is reportedly buried here … or is he? Join the Annual Historic Ghost Walk to hear the story. The walks are planned for Oct. 15-17, Oct. 22-24 and Oct. 29-31, 2009. Tickets are $15/person and go on sale Oct. 1. These annual walks sell out quickly, purchase tickets as soon as they go on sale by calling the Frontier Historical Museum at 970-945-4448. 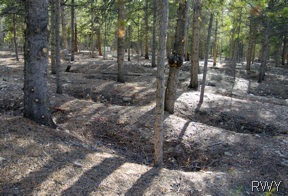 We’ve tramped around many of Colorado’s cemeteries through the years, especially those near early mining camps. Each has its own distinctive characteristics and slate of citizens with fascinating stories. 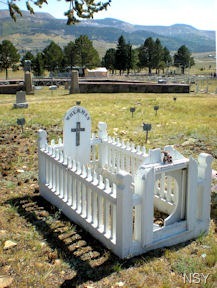 Leadville’s Evergreen Cemetery contains graves from 1879 to the present, graves with ornate headstones and those with rotting crosses. One early section with sunken graves ranks as the spookiest I’ve ever visited. Judge Neil Reynolds introduces the spirits of Evergreen Cemetery during Halloween Tours Oct. 29-30 at 8:00pm each evening. This popular event usually sells out – call 719-486-3900 or 888-532-3845 for tickets, $10/person.